A guy in New Zealand was just sitting in his car, minding his own business, like you do, when three no-goodniks came up and accosted him. He then attempted to drive off, like you do, when he was slammed in the head with an iron bar. Which stayed there. 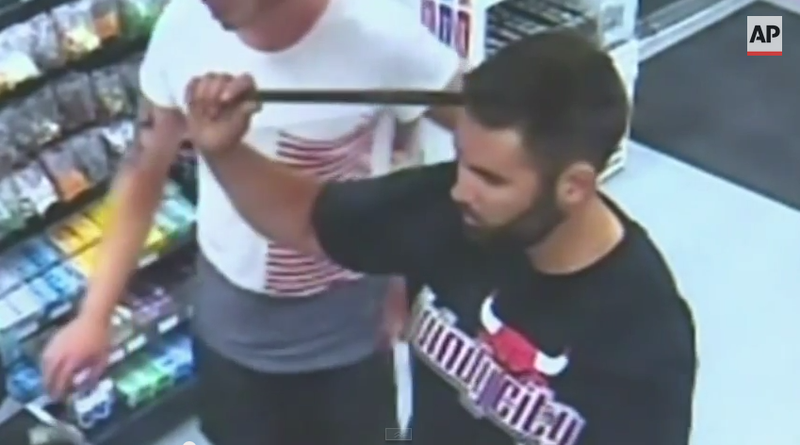 So he did the only logical thing – he drove to a gas station, and calmly asked for help. Everyone around him is just like "yo you got a metal bar IN YOUR HEAD HOW ARE YOU ALIVE" and he's just like "yeah I got a metal bar in my head." "He just walked in with the rod in his head and I was just like, 'Is that a drum stick in your head?'" says witness Dylan Shea told 3News. "And he was like, 'Nah, it's a rod. "It looked like a Halloween stunt where people wear those Halloween costumes over their heads, but it was pretty real when he turned around and blood was coming down the side of his head," Gray told 3News. It's still unknown what provoked the attack, police said, but the victim was clearly pissed off about it to the point where he actually asked gas station attendants to call the cops, and not an ambulance. He's in serious but stable condition now, but holy crap that dude had a metal bar stuck in his head.